Boston MA Area residents and Expats relocate overseas, shipping household goods and all of their furniture is a lot to consider, even before looking for international moving services. Full households, condo or apartment. Partial – offices, secondary contents(military), single bedroom. 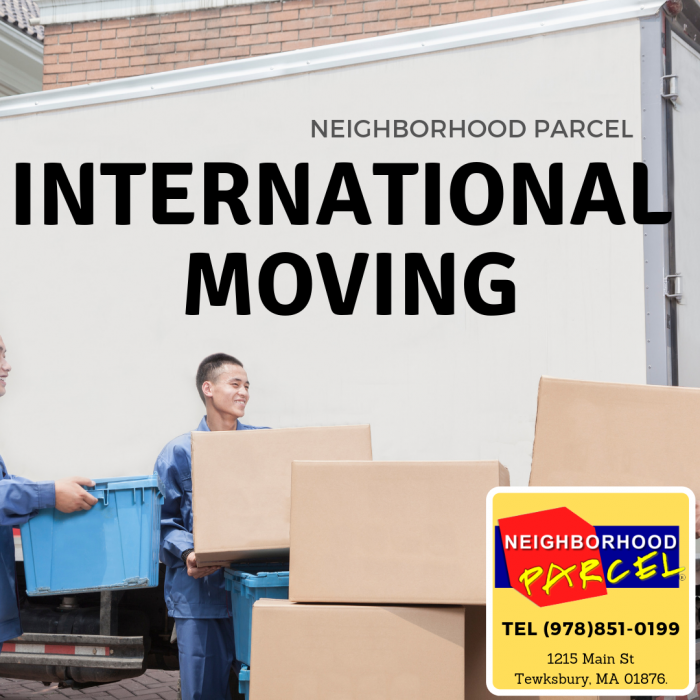 When you move overseas with Neighborhood Parcel, you won’t have to worry about getting lost in the shuffle. You will know where your goods are every step of the way. Whether you’re moving from the east coast, west coast or gulf, your personal effects and items will be handled by our own team that has over 20 years of experience packing, loading and shipping household goods overseas.